Contributions have enabled Komen to invest $33 million in Oregon and SW Washington since 1991. Of this, $19.8 million has supported grassroots education, screening, and survivor/forever fighter support services in communities across Oregon and SW Washington, and $13.2 million has helped fund cutting-edge breast cancer research at local research institutions. Click on the links below for information on local and national research. Help fund metastatic breast cancer research through the Gray Family Fund. 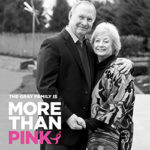 A researcher and professor at Oregon Health and Science University Knight Cancer Institute, Dr. Gray is also a Komen Scholar. The Gray Laboratory specializes in the study of abnormalities in select cancers. And, Dr. Gray’s wife, Jane, is battling Stage 4 breast cancer. This makes his commitment to this research even more important. In their honor, we have started the Gray Family Fund to help Susan G. Komen achieve the goal of reducing the number of breast cancer deaths by 50% in the U.S. by 2026. Please make a gift to support this effort.